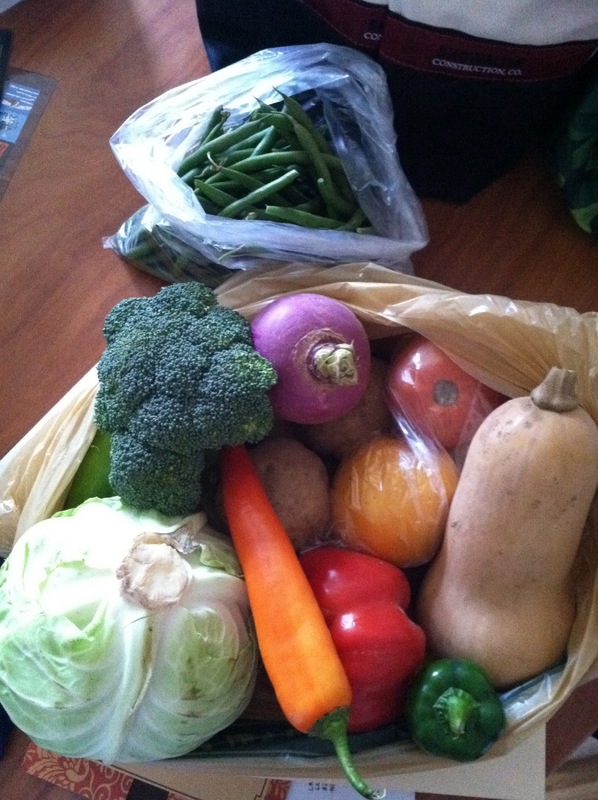 jay went to union square to pick up our CSA goodies today and came back with a colorful array of local produce–hooray! 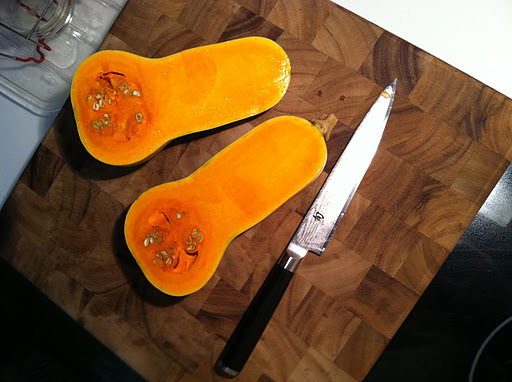 cut butternut squash lengthwise and spoon out the guts. place squash rind up on cookie sheet and bake for 40 minutes at 350F. while squash is cooking, squeeze spicy turkey sausage out of casings and cook over medium-high heat. before it gets too brown, add onion and red pepper. take squash out of oven, stuff it, and put it back in oven for 10 minutes at 375F. 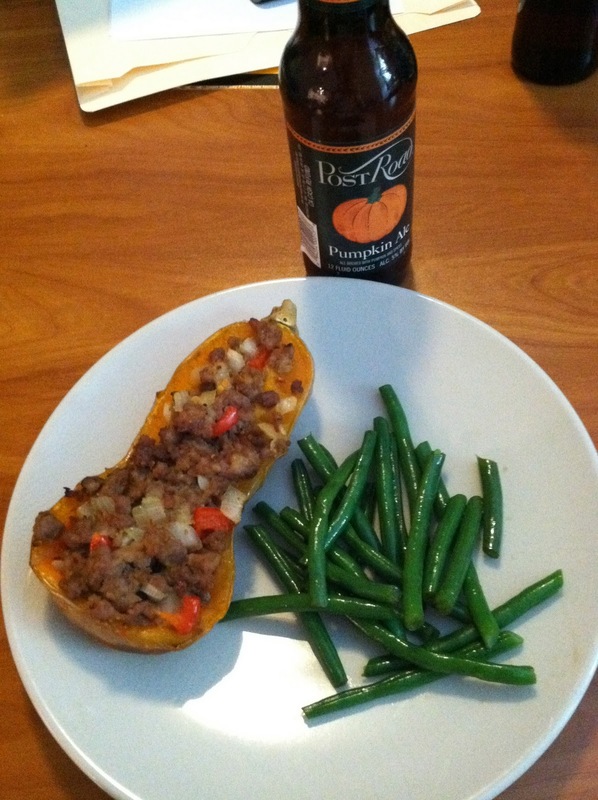 note that butternut squash doesn’t leave a lot of room for stuffing–don’t let that slow you down. while the stuffed squash was baking we blanched some green beans. and voila! jay and i couldn’t believe the flavor. was it the turkey sausage that was so good? or the squash? we decided it was the two together–a perfect marriage of deliciousness. next adventure–i’m thinking some kind of smorgasbord soup.